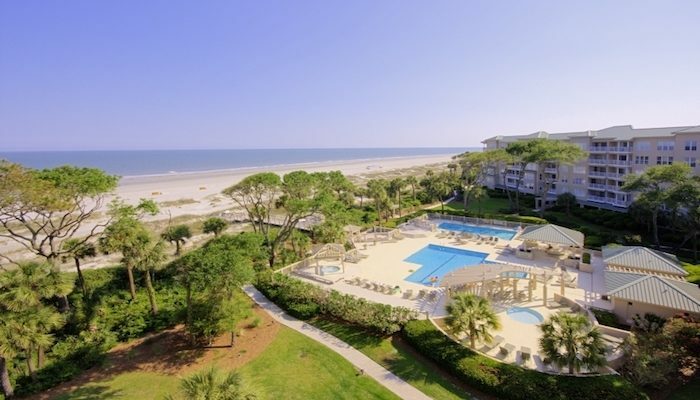 Palmetto Dunes is another extensive ‘plantation’ on Hilton Head, with a series of hotels and resorts running from Shelter Cove down to the beach. The area is built around a series of golf courses. Runners can enter the resort free of charge. There’s an extensive network of roads and trails, along canals and waterways. There are also 5 miles of bike trails within the resort, mainly in the Shelter Cove area, north-south along Queen’s Folly Rd., and paralleling the beach along Ocean Ln. A good run is to combine some of the bike paths with a stint along the beach. It is 1.2 miles from Shelter Cove to the beach, along Queen’s Folly Rd. No proscribed route, but one can put together several miles within the area.